A new study has demonstrated how the use of robotics can become a key tool in the conservation of threatened species. 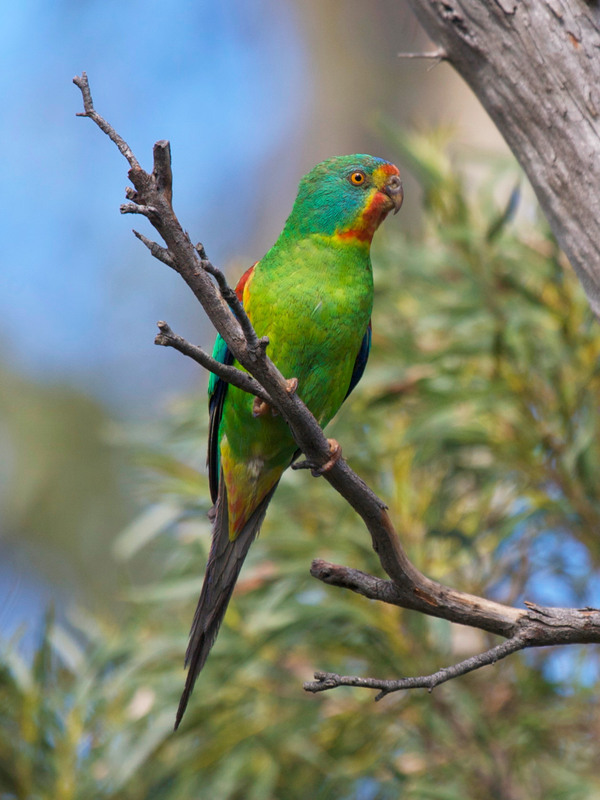 Swift Parrot is one of Australia's most threatened birds and is in need of urgent help, with BirdLife International estimating a total wild population of between 1,000 and 3,000 individuals. It breeds in Tasmania, migrating to south-east Australia for the austral winter, where it can be found sporadically from New South Wales west to Adelaide. In 2010, Loro Parque Fundación started funding crucial field research by scientists of the Fenner School of Environment and Society, Australian National University (ANU), triggered by the accelerating decline of the wild population, which has been classified as Critically Endangered since 2015. Swift Parrot is now classified as Critically Endangered due to its rapidly declining population (ANU). What they discovered was alarming. They found that Swift Parrots prefer to nest in cavities with specific characteristics, and that only 5.2 per cent of available tree hollows were suitable in the Tasmanian forests. Worse still, they detected a high level of nocturnal predation on the contents of Swift Parrot nests, including adult females, by Sugar Gliders, a mammal species introduced to Tasmania from mainland Australia. The ANU team has used their data in a population model that predicts further extremely rapid decline. However, the same data have informed the forestry and other authorities of the necessary control measures for Sugar Gliders, and have provided an important management tool for balancing the interests of conservation and production forestry, highlighting the importance of conserving old-growth forests. Habitat loss, fragmentation and alteration is also occurring widely across mainland south-east Australia. Outside of the breeding season, Swift Parrots migrate north from Tasmania to the mainland, where they disperse over a vast area. For the long-term viability of the population, it is essential to identify priority sites, implement habitat rehabilitation and restoration at these sites and secure their long-term management, monitoring and protection. 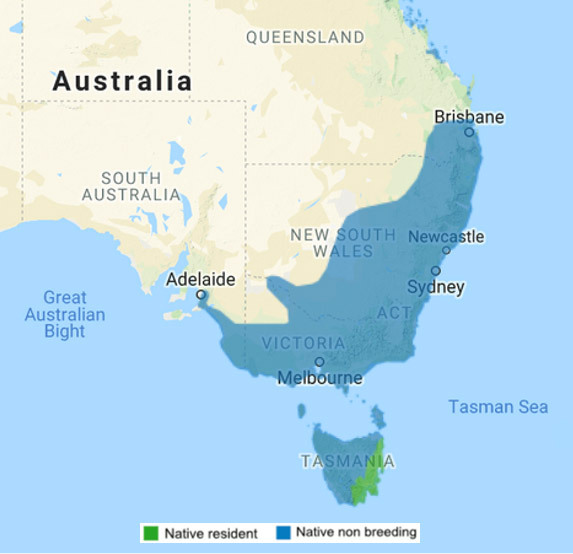 Swift Parrot's non-breeding range covers large swathes of south-eastern Australia, making its small total population challenging to track. However, finding and following Swift Parrots is akin to trying to find the proverbial needle in a haystack. To meet this challenge, scientists first developed a radio transmitter sufficiently small to be carried comfortably by a Swift Parrot, thus allowing the remote location of tagged individuals. Although manually locating the transmitters from the ground with hand-held equipment was possible, it proved very labour-intensive for a species that habitually travels long distances. Enter the robots. To take the sweat out of following the tagged parrots, the team developed an autonomous and lightweight aerial robot – a drone – that was able to remotely locate and track the radio-tagged parrots within their winter range. The drone carries a miniaturized sensor which, together with newly developed algorithms which control the position of the robot as it collects data, sends the gathered information in real-time back to a laptop computer. The results of the latest trials have been recently reported, where the drone estimates positions that on average lie within about 50 metres of the true positions of the parrots, being sufficiently accurate for the observation or recapture of them. Even more impressive, in comparison with experienced human trackers from locations where the radio signal was detectable, the robot produced a correct estimate as fast as or sometimes faster than a human could. Given that the trials were conducted in relatively open habitat, there appears to be a clear advantage to conduct tracking by drone in denser and more inaccessible habitat, where effective pursuit by humans is considerably more challenging. 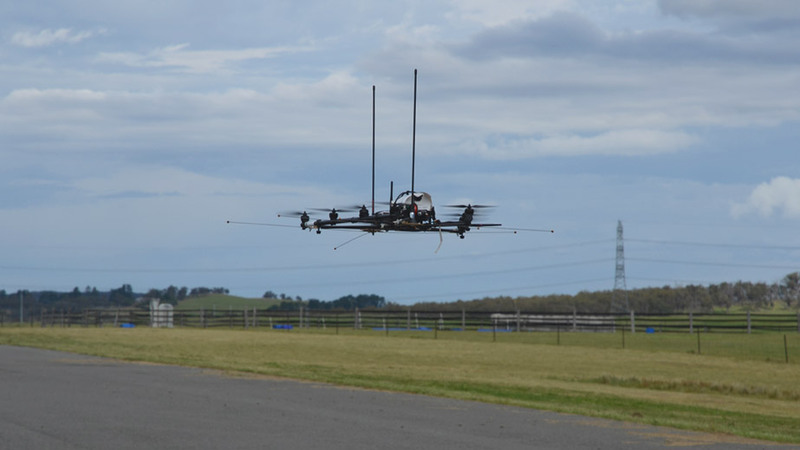 One of the drones deployed to track Swift Parrots around mainland Australia. Cliff, O, Saunders, D L, & Fitch, R. 2018. Robotic ecology: Tracking small dynamic animals with an autonomous aerial vehicle. Science Robotics, 3 (23): eaat8409. DOI: 10.1126/scirobotics.aat8409.